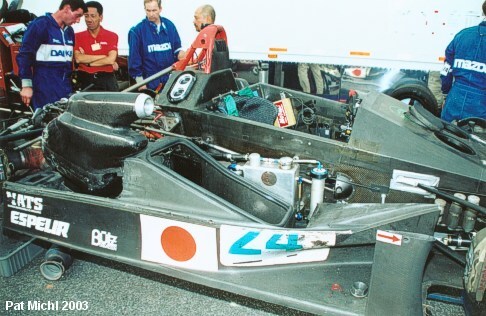 The WR's ability to bring in an ample amount of cooling air for the rotary Mazda was probably the number one factor in Autoexe's decision to use the chassis. 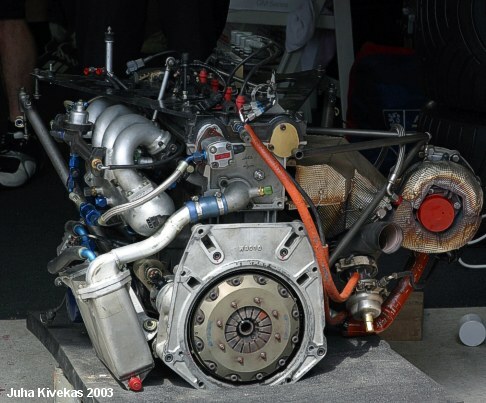 Noted by the very large coolers, the Mazda rotary engine requires a higher amount of cooling surface area because the oil is used to a much higher percentage to cool the engine than on a comparable power level piston engine. 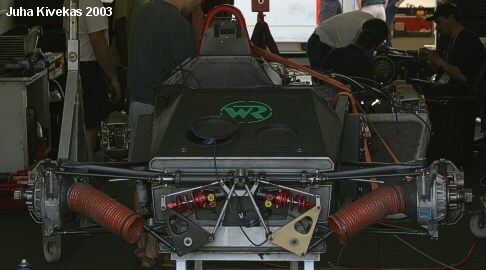 The Peugeot engined WR and Mazda engined car are very similar. 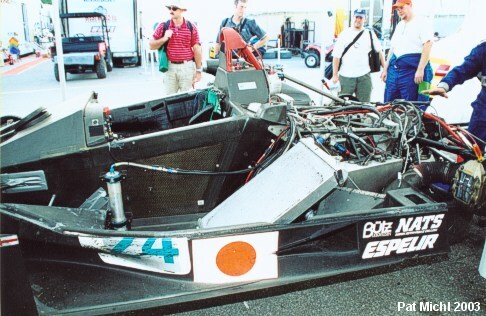 But the primary reason for the 148 kilo weight difference comes down to a heavier engine, larger radiators and oil coolers, heavier bodywork and exhaust as well as a longer wheelbase for the Mazda car.